FREE SHIPPING!!! - In Stock! We are having a sale on the SeaDoo Aqua Lounge 4 person floating insland. No need to pay the higher prices when you can get a brand new Sea Doo Aqua Lounge 4 from us with the Manufacturer Warranty!! We usually ship the same day as your order if placed before noon eastern time. Have a great day on the water with a brand new seadoo aqua lounge 4 person raft. This is one of the best Aqua Lounge on the market. You are going to love the Sea Doo Aqua Lounge 4 person floating island. This is a great way to spend the day on the water with 3 other friends. 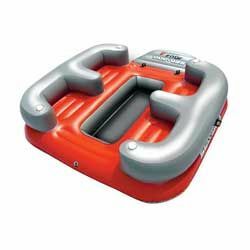 The sea doo lounge 4 person floating island has a cup holder for everyone. 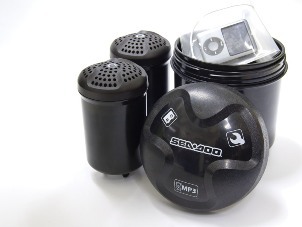 The MP3 player makes the SeaDoo Aqua Lounge 4 the perfect getaway for the day with your favorite music. Dangle your toes in the water on the Aqua Lounge 4 and listen to your favorite music. In Stock and ready for fun!! SeaDoo Aqua Lounge 4 person island with warranty!! Watch the Sea Doo Aqua Lounge 4 Video! !